While it's good sport to go out specifically for cocktails, it can be even more fun to experiment with their creation and host cocktail parties at home. 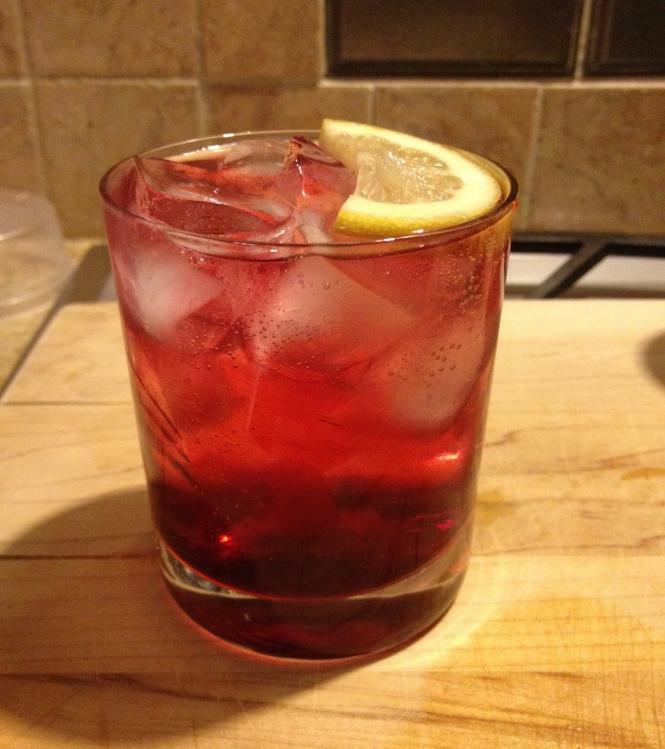 There are three basic approaches to take when looking to improve one's drink repertoire. You can keep your liquor shelf stocked with expensive (usually imported) liqueurs and other enhancers. 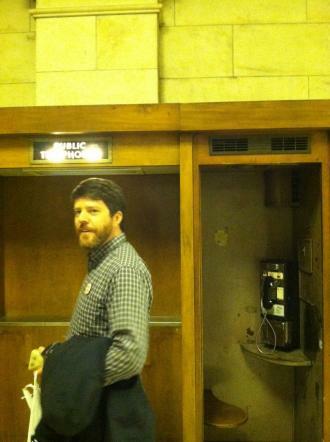 You can also dig up obscure recipes that are no longer in general use, such as those that date back to before Prohibition. 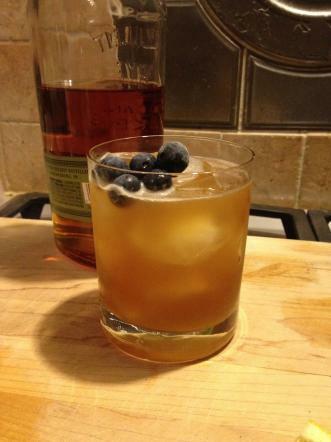 Or you can use basic cocktail recipes as a starting point, then freestyle off of them with simple syrups made in your own kitchen. The basic approach for making syrups is to dissolve sugar into water and then flavor the solution with herbs or other aromatics. Since the herbs can come from your (or a friend's) garden, enhanced syrups are a great way to make drinks with exceedingly local ingredients. Keeping your fridge stocked with a few different flavors invites endless experimentation and spontaneity. 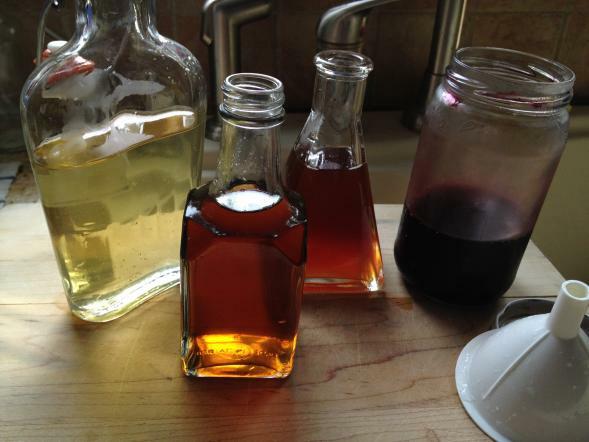 The basic formula for each of these simple syrups (and countless others) is a one to two ratio of sugar to water, and then the addition of an ounce of fresh or dried aromatics. Included below are recipes using shiso leaves, lemongrass, mint, dried rosebuds, and dried hibiscus to create five different cocktails: a Dark and Stormy, a Rose Sidecar, a Hibiscus Vodka Tonic, a Lemongrass Cider Manhattan, and a Sake Martini with Shiso. All of these ingredients can be found in a garden, your co-op, or your grocery store. Check the bulk section for dried ingredients. They are also available online, at shops such as Kalustyans. Note: the end product amount of syrup is relatively small, as each cocktail only requires a tablespoon or so. This basic recipe/guideline can be multiplied if needed. 1. Pour water into a small pot and place on stove. Turn heat to medium. 2. Pour sugar into water and stir a few times. 3. Finely chop the shiso leaves, the lemongrass stalks, or the mint leaves. Alternately, if using rosebuds, hibiscus, or any other dry ingredient, crush them into large chunks. 4. When the water is simmering, add the aromatic. Stir gently. 5. Let the aromatics steep in the syrup for ten minutes. Be careful to keep it from a full boil as this could further caramelize the sugar, creating a bitter syrup. 6. 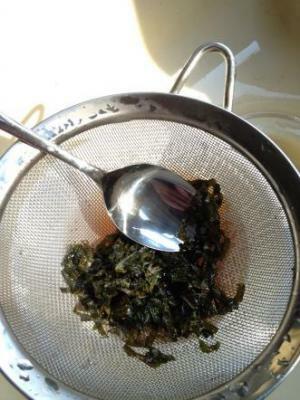 Remove the syrup from heat and pour it through a fine mesh strainer into a heat-proof bowl. 7. Using the back of a spoon, press the aromatics to extract the remaining syrup. This has the added effect of creating a solid mass of aromatics that are easier to discard. 8. Let the syrup cool in the bowl for 30-60 minutes before using a funnel to pour it into a sealable bottle. While pouring, try to leave any aromatic particles in the bowl. The syrup should last, refrigerated, for a few weeks. 2. 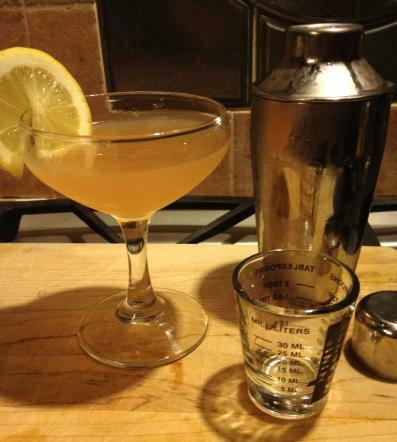 Shake together and strain into a 3.5oz (“classic”) martini glass and garnish with a slice of lemon. 2. 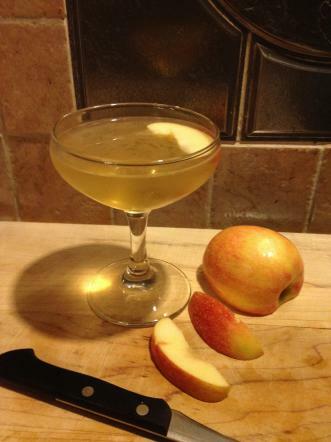 Shake together and strain into a 3.5oz (“classic”) martini glass and garnish with a slice of apple. 2. Fill glass with tonic water and garnish with a slice of lemon. 2. Stir ingredients in glass then fill with ginger beer. Garnish with lime wedge.